It is half past six when temple bells awaken us from our slumber. Each note is soft but clear, resonating with the prayers of the faithful, and tinging the winter air with hope. I glance over at the window, a sturdy wooden lattice encrusted with floral motifs, to find only darkness behind a film of moisture. The bells ring again, at languid, irregular intervals, while the darkness slowly yields to an ethereal mist and the pastel blue of a cloudless sky. 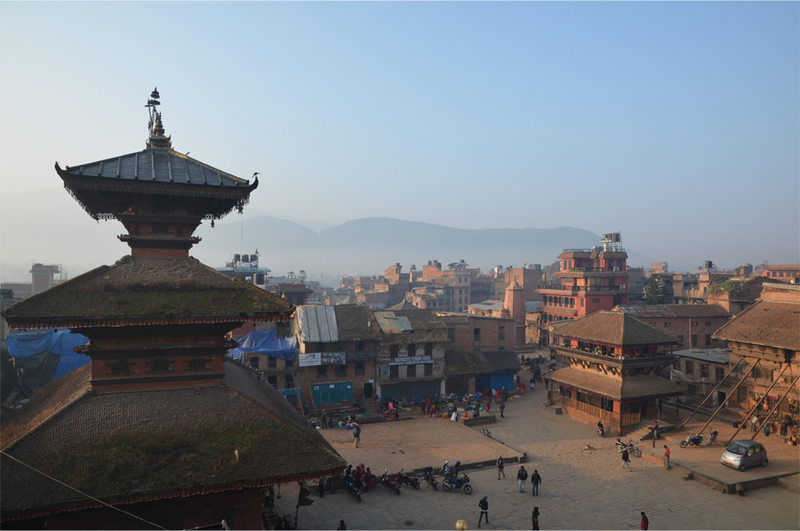 To wake up in Bhaktapur, Nepal’s City of Devotees, is to enter a dreamlike state. Bama and I step out of our room and take to the stairwell, lit at each half-landing by a small window facing the pagoda next door, its magnificent carvings and rust-red brick almost golden in the soft winter light. Climbing to the rooftop, we push through a half-open door to reach the small terrace. By now the morning mist has peeled back to reveal the verdant hills rising to the south. Five floors below us, Taumadhi Square is already a hive of activity. The chatter of vendors hawking fresh produce at its far end drifts into our ears, as does the sound of motorbikes puttering across the flagstones. I watch as a middle-aged man and his cocker spaniel, both dressed for the cold, bound up the steps of Nyatapola pagoda, between steely pairs of stone warriors, animal guardians and goddesses. Above them, pigeons coo to each other on the lowest of the terracotta roofs. My gaze is drawn to the upper levels of this 30-metre wonder, where a white flag flutters from a bamboo pole tied to the glinting pinnacle. On the highest storey I spot a window tilted to one side, a missing strut, and absent corners implied by the jagged lines of bricks turned askew. On April 25, 2015, about seven months before our visit, the same forces that created the Himalaya would unleash their power over a sizeable area of Nepal. Far beneath the district of Lamjung, some 80 kilometres to the northwest of Kathmandu, the stress on a major fault line reached its breaking point. At 11:56 am, as the shockwaves rippled through Bhaktapur’s Durbar Square, a stunned visitor captured the unfolding destruction on camera. The sandstone-clad Vatsala Devi Temple, with its impossibly slender pillars and graceful shikhara spire, imploded in a cloud of dust. Turning to the western side of the square, the camera caught another temple shedding bricks until the upper half of its spire was no more. It was a scene repeated in the ancient centres of nearby Kathmandu and Patan, where several pagodas and palace towers crumpled in the violent shaking. Once the main shock subsided, almost 9,000 people would be dead. News of the earthquake reached me in Hong Kong that same afternoon. 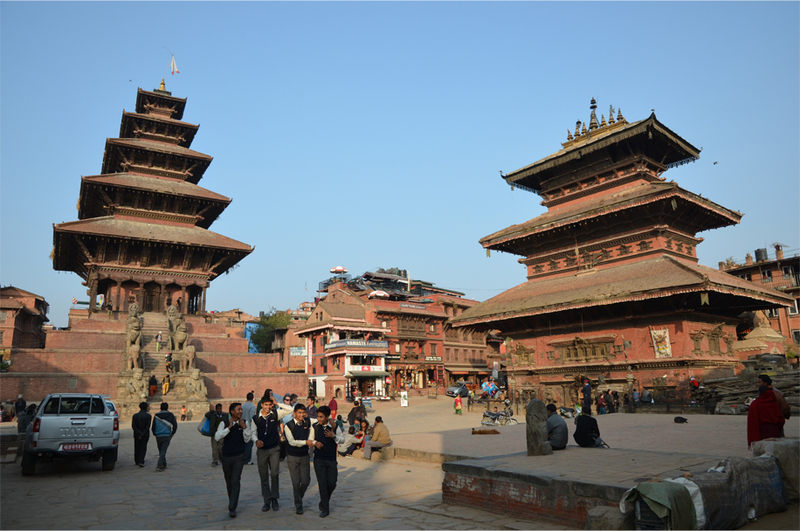 I immediately thought of my Nepalese friends in Kathmandu, then the great pagoda I had longed to see in Bhaktapur. When photos of the destroyed temples began circulating on the internet, I feared the worst. I worried that Nyatapola had pancaked onto its pyramidal plinth, sending an immense pile of loose bricks and fallen timbers into the dust-brown expanse of Taumadhi Square. In the quake’s aftermath, the international media flocked to Kathmandu like vultures to a buffalo carcass. 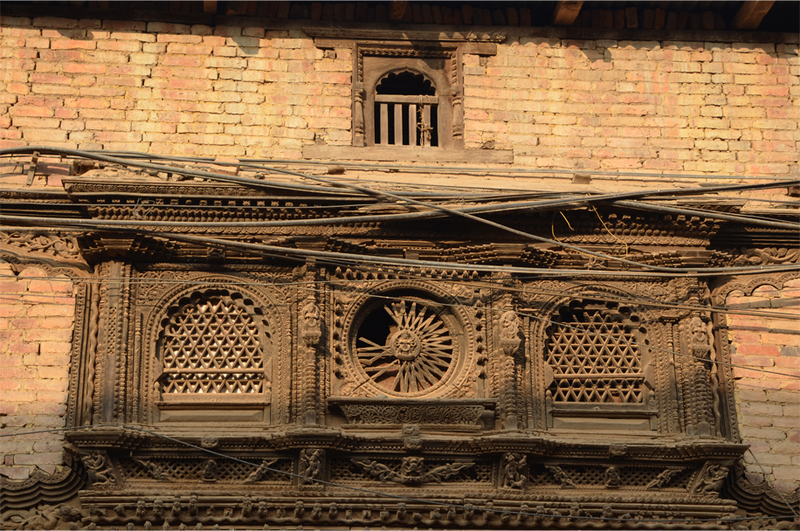 For days they repeated a message of death, destruction and the permanent loss of Nepal’s architectural heritage. 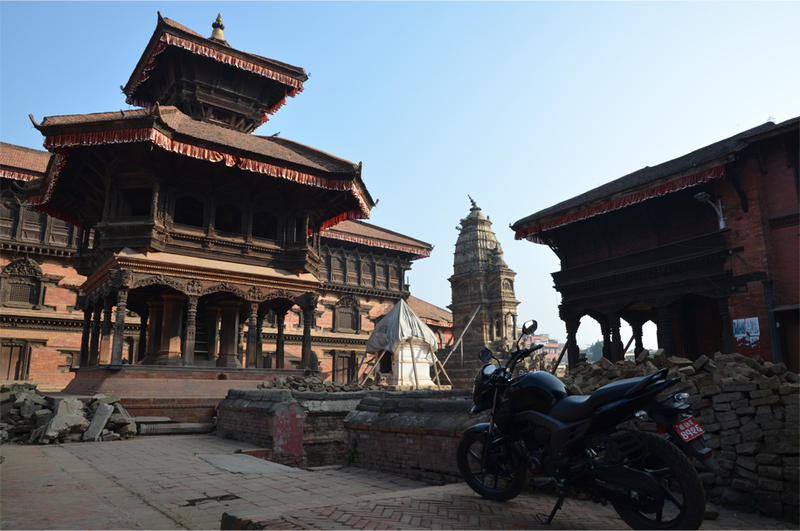 But in the flurry of news reports from Bhaktapur, not a single photo of Taumadhi Square emerged. I took the lack of coverage as a good sign, and soon enough, clips of aerial footage confirmed what I had already guessed – that Nyatapola had survived wholly intact. Not even its gilded copper pinnacle, the bell-shaped gajur, had shifted out of place. But that should come as no surprise. 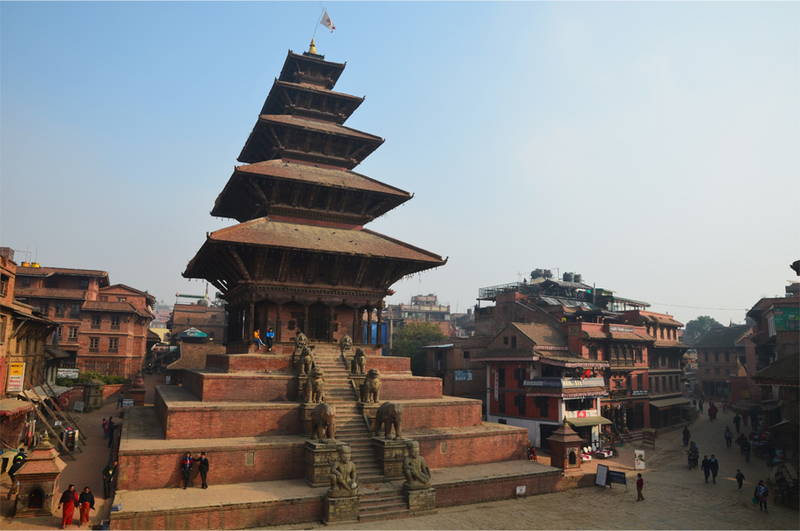 The pagoda withstood an even more powerful earthquake in 1934, when much of Bhaktapur was reduced to rubble. It is a testament to the skill and ingenuity of those who raised it over an astonishing five months between 1701 and 1702. 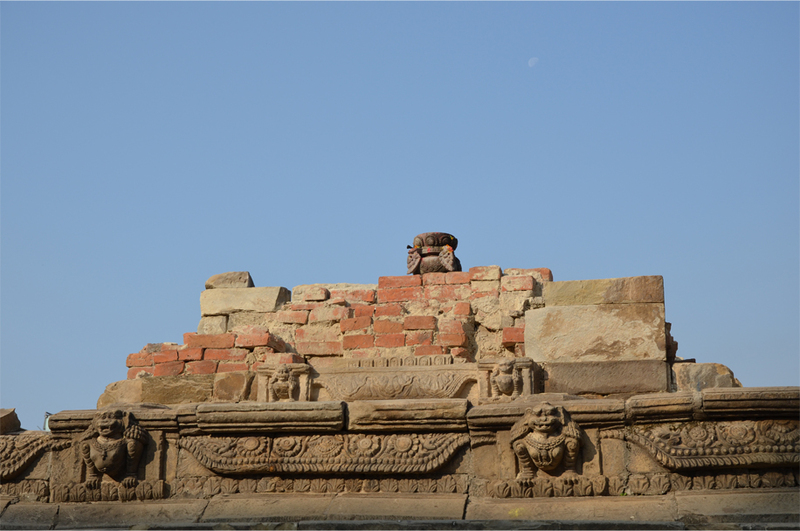 Amid the fallen temples of the Kathmandu Valley, there is one structure that gives hope for reconstruction. 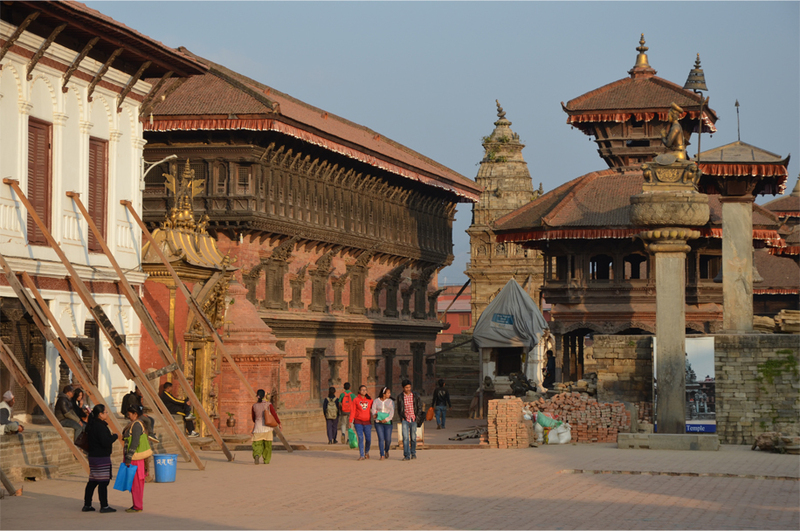 It is the Chyasilin Mandap, an eight-cornered pavilion that stands between the eastern and western parts of Bhaktapur’s Durbar Square. The original, like several temples nearby, succumbed to the earthquake of 1934. For decades the only sign of the structure was an empty platform, a permanent hole in the architectural ensemble that two conservation architects, Götz Hagmüller and Niels Gutschow, wanted to fill. In the late 1980s, it took their brains and determination, a dedicated local partner, gifted craftsmen and the financing of the German government to recreate the lost pavilion where the Malla kings met foreign dignitaries, observed festive processions on the square, and famously held a poetry competition. Early research brought in a trove of photos taken by several European travellers in the 19th and early 20th centuries, including the French sociologist Gustave Le Bon, who visited in 1885. 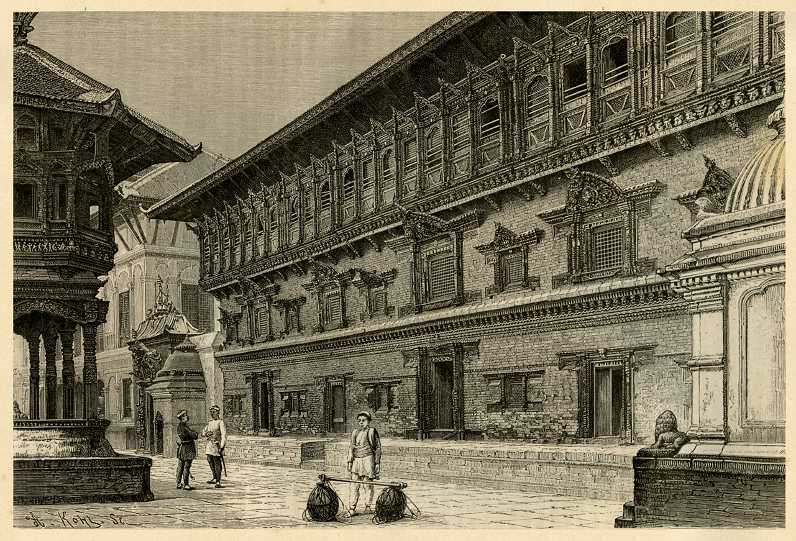 His photographs were the basis of two wooden engravings that showed Durbar Square in its full, pre-quake glory. Then, a major breakthrough. The memory of elderly residents led the team to eight of the 12 original columns, and surviving components reused in other buildings. All were retrieved for use in the future pavilion. Armed with the old photographs and original pillars as a reference, Hagmüller and Gutschow could now calculate its dimensions right down to the exact centimeter. The new Chyasilin Mandap would be given deep concrete foundations and an earthquake-resistant steel structure, to a design by a leading European expert. 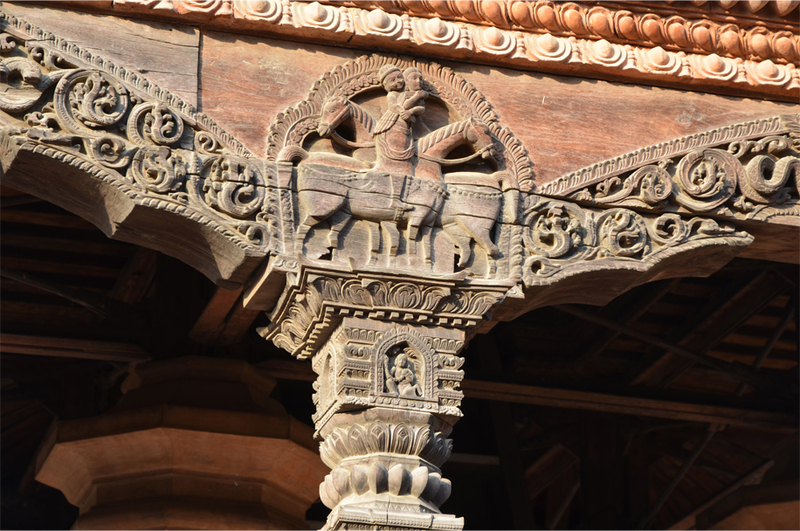 Local carpenters set to work on the sophisticated carvings, a Bhaktapur brick-making family was enlisted to create more than 23,000 bricks for the project, while artisans from Patan contributed the bronze guardian lions and gilded copper crown. In all, it was a three-year process that culminated in a complete reconstruction between 1989 and 1990. Few visitors today would ever know the difference, except if they glanced upwards at the steel frame, purposefully left exposed, on the ceiling of the ground floor. Seven months on, reminders of the earthquake are apparent everywhere we go. Bama and I walk past bricks piled neatly by the side of the road, dodge hulking wooden beams propped up against the walls of larger buildings, and look up to find sheets of corrugated iron being used as temporary roofing. 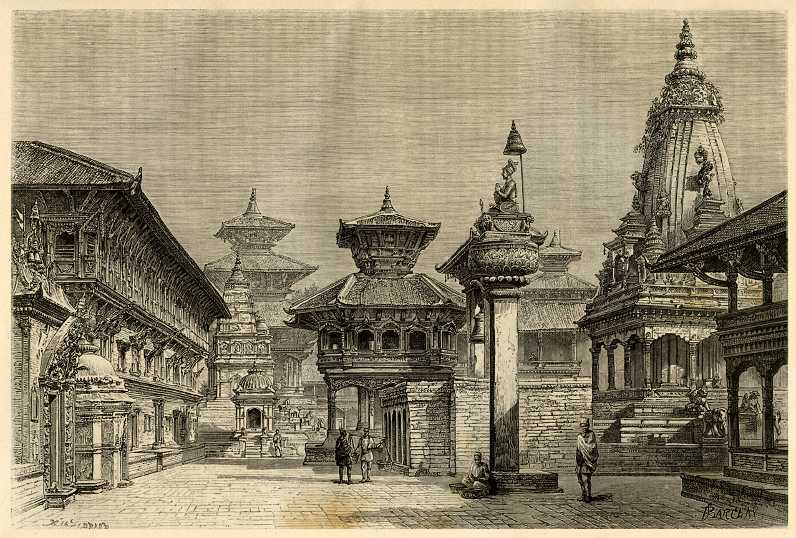 But Bhaktapur is not the dead, ruined city portrayed in the papers of New York or London. 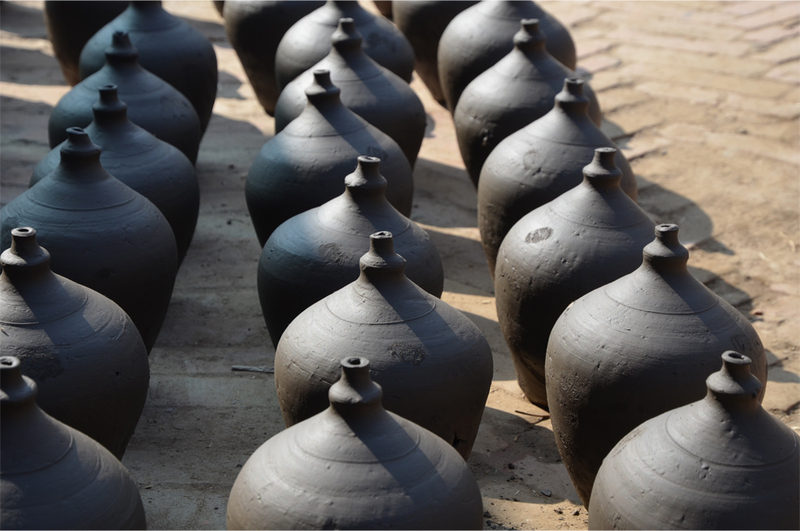 Men and women continue to mould jars out of wet clay on Pottery Square, and the winding streets are full of life. 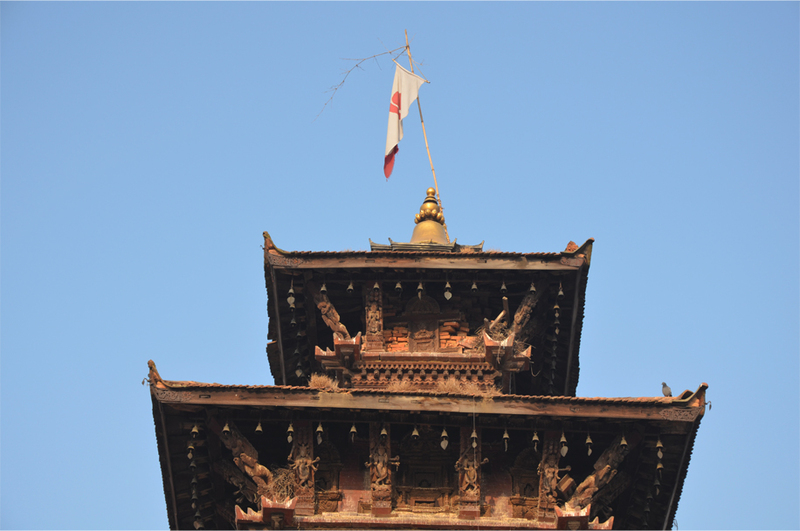 How nice to read an entire post just on Bhaktapur! I spent much of a day there while in Kathmandu, but you guys seem to have really settled in (at least overnight) and learned a lot more than I did. The story of the temple rebuilding was particularly fascinating. Like you, I frantically scanned the papers and online new stories when the quake hit to see what had happened in Bhaktapur. Even today I was uncertain of the scope of any destruction, so thanks for the update and the hopeful tone on the city’s condition. I will say that those thin wooden supports holding up the sides of large buildings do not induce huge amounts of confidence in me! Lastly, and completely off the rebuilding topic, weren’t those rows of pots just made for photographing?! I went a little snap-happy there! We stayed three nights and it was really the best start to our time here in Nepal. 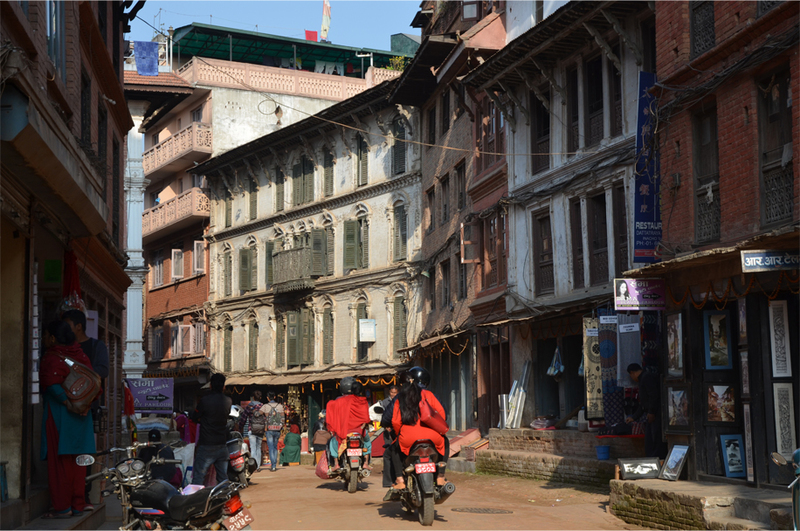 The vast majority of buildings in Bhaktapur are still standing, though a lot of the damage happened in back streets not frequented by visitors. I read an article several months ago that mentioned an area where an entire row of houses had imploded, leaving only the outer walls intact. In our first day there, we did see some tents being used as temporary housing, but otherwise much of the city felt completely normal. And yes, I had the same reaction at Pottery Square – it was so fascinating to see the pots being made from scratch! 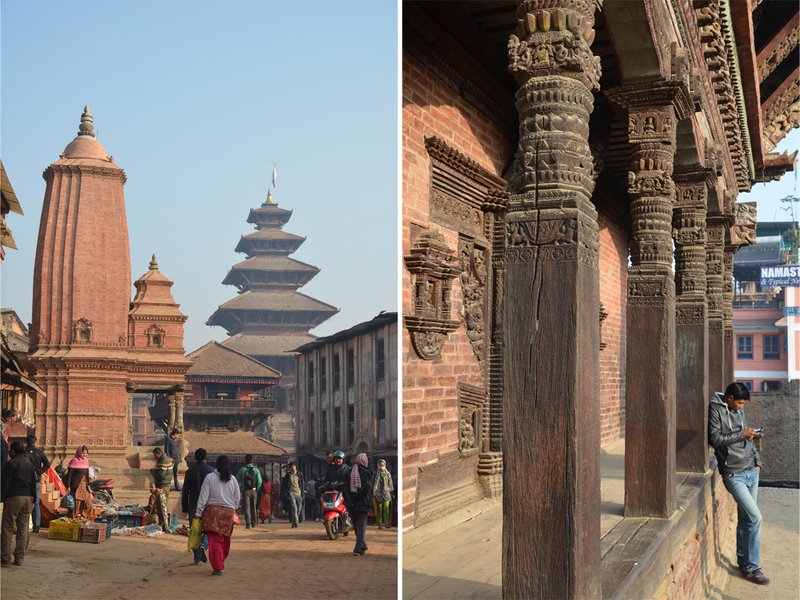 Bhaktapur is such a photogenic city – I could easily have stayed another day or two! What an amazing place. Thank you for this lovely post. You’re welcome, Debra. 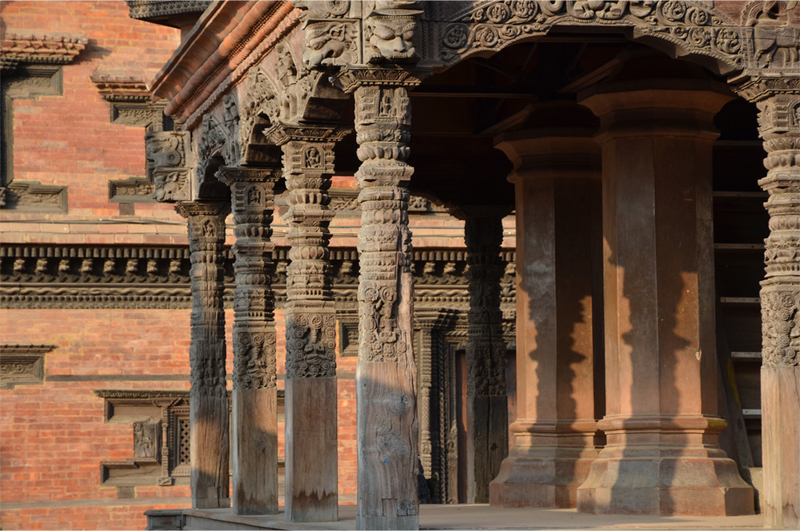 I think I will publish more photos from Bhaktapur in another post… the depth of intricacy in the architecture there was simply remarkable. This is such a heart-warming hopeful post James. But why am I surprised? People are always strong and resilient, purposeful and helpful in the face of destruction and tragedy. It is so wonderful to read about a Nepal that continues on. I hope to visit one day and discover it for myself, though not in the winter! After all the bad news about the earthquake, it is a real shame that people have cancelled their trips and avoided Nepal altogether. I almost want to write a post about the country the same way you did with Egypt. Spring and autumn are generally the best times to visit Nepal – and make sure you don’t just visit Bhaktapur on a day trip! We found it so magical in the early morning and late afternoon. Thank you for this post. 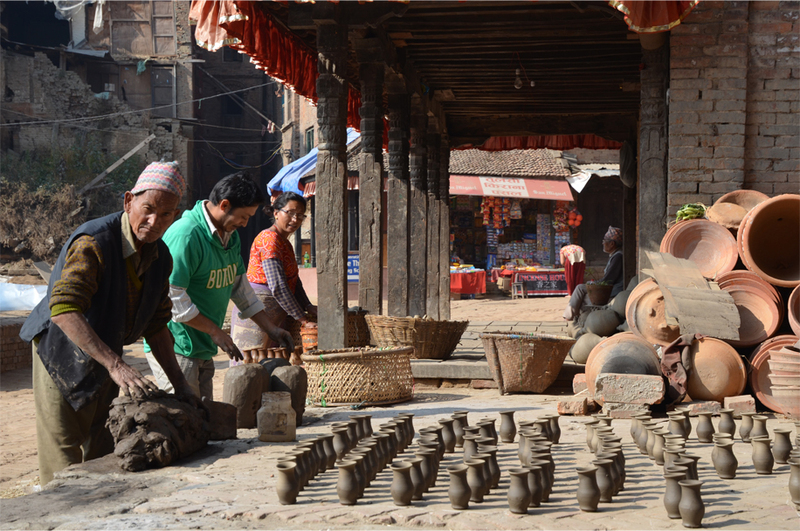 It is only from travellers like you that most of us can keep track of the slow reconstruction of life and architecture in Nepal. You’re welcome. I think the international media has been so callous and selective in their reporting – so many people believe that Nepal was completely devastated by the quake. The situation on the ground is much better than that. What is most concerning right now is the effect of the ongoing fuel crisis (as a result of the Madhesi protests and border closures) on the lives of ordinary people. Even as a foreign visitor, I felt the problem becoming especially acute as temperatures dropped. Love it, amazing visuals as well. Wow, your pictures are beautiful ! Thanks a lot for the article ! I’m glad you enjoyed it – thanks in turn for leaving a comment! This is a beautiful post, James. The Chyasilin Mandap temple is really impressive. It looks 400 years old, not 25. It is funny how the media portrays things. I assumed everything was totally leveled by the reports that I heard. Thank you, Jeff. I was blown away by all the detailing on that pavilion – it gives us the assurance that what was lost to the earthquake can be rebuilt. The sad reality is that people are going to pay more attention to post-quake photos and videos if they see collapsed buildings in them. Beautiful! What an amazing experience you guys had to travel so long and to so many wonderful places! It was truly a once in a lifetime trip… we didn’t trek in Nepal as you did, but I have my eye on the Annapurna region when we go back! I just love following your posts on your trip. I can’t wait to read more! 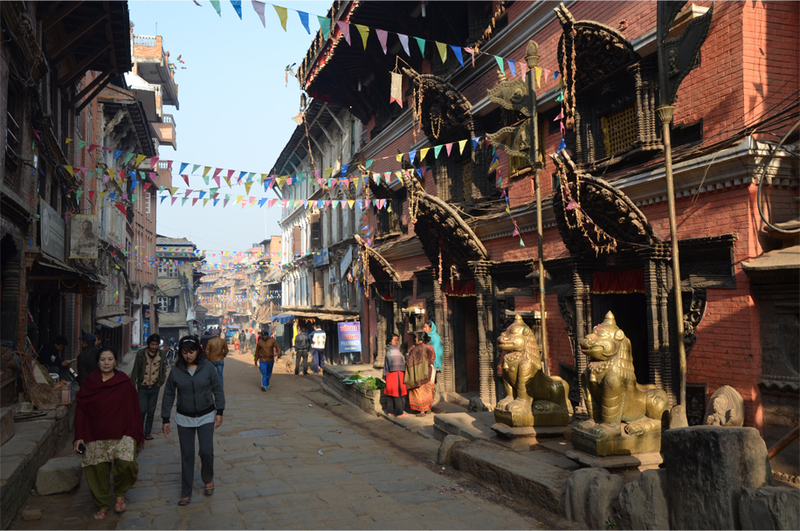 Heartening to learn that much of Bhaktapur remains intact. The story of the reconstruction of Chyasilin Mandap is inspiring and feels like it is in itself a testament to the resilience of the city. Adore that cocker spaniel posing with Nyatapala’s guardians! 🙂 Another fabulous post James. Thank you, Madhu. 🙂 So many people go to Bhaktapur on a day trip but they end up missing the best times for photography. Staying for a few nights is a much better (and more relaxing) option. 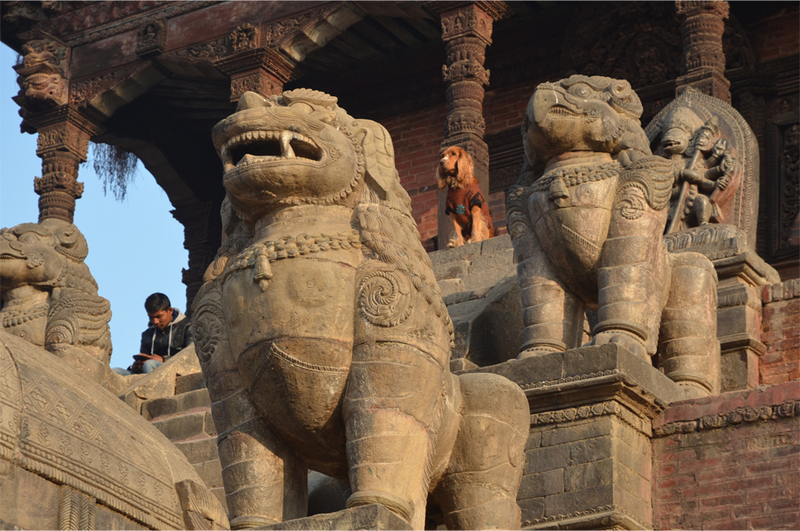 The cocker spaniel was adorable to a point – until he started answering nature’s call on the guardian statues and leaving his droppings at the pagoda! 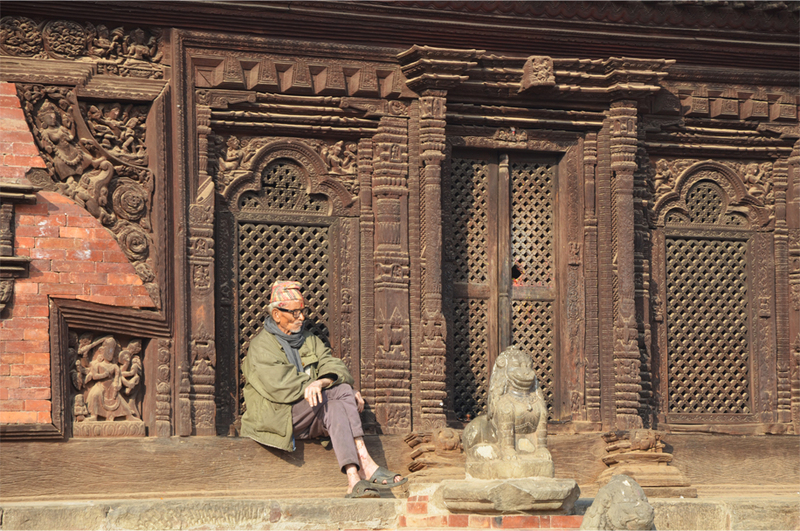 Bhaktapur the Resilient | What an Amazing World!